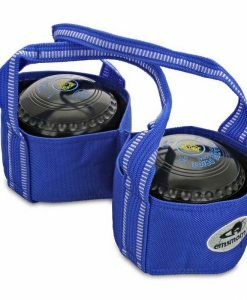 For those that want to carry a bag the Pro Bowler with its lightweight moulded base is by far the top of the range in bowls carry bags. 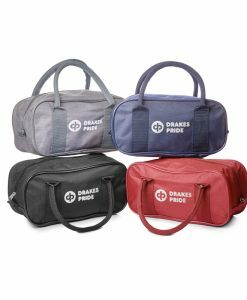 One simply cannot compare this to any other brand on the market. We guarantee this fact. 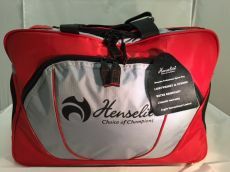 Complete with waterproof cover, two registered design two bowls bags that hold your bowls snugly, a golf bag type padded shoulder strap, seatbelt strength fixings to the bag simply mean no bag available for bowls is as tough or as well made. 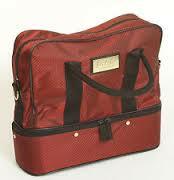 Space for clothing, waterproofs, accessories and shoes are par for the course. 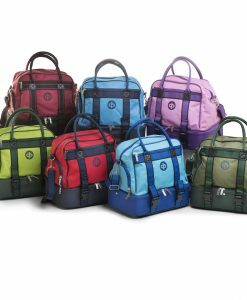 Large zips and pulls mean that jammed zips are a thing of the past, double stitching to stress areas and a design perfected over 10 years simply makes the Pro Bowler the world’s best large carry bowls bag. 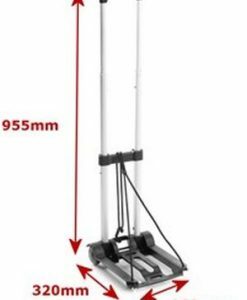 Development of the unique exceptionally tough moulded base means the bag never touches the ground so fraying and a wet base are a thing of the past. 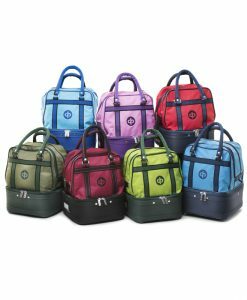 Top quality 800 denier rip stop material and an all nylon lining make the bag showerproof and one still has the waterproof cover for the real rainy days. 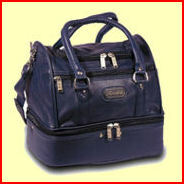 The ProBowler is Australia and New Zealand’s largest selling luxury carry bag. Dimensions: W46 x H36 x D26cms.